Working with a designer to develop a logo is an exciting process. 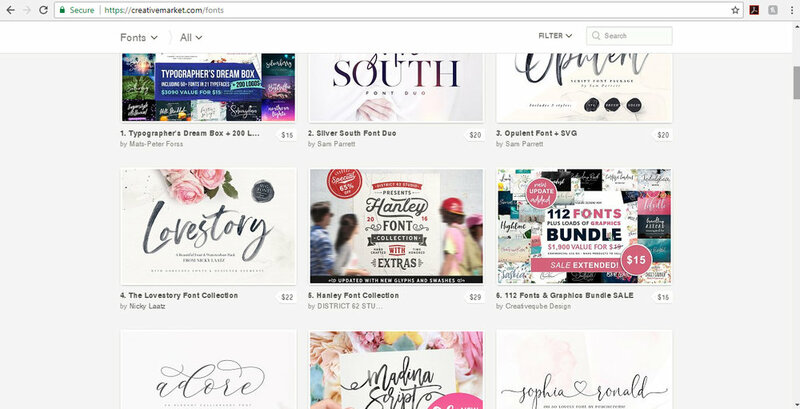 While a good designer will be able to provide a great variety of creative options, there are somethings that you need to already have in mind. Things that can reduce the budget and help point your designer in the right direction. Seriously, is there a problem with the name you have? Are you constantly having to explain “No, not automobile audio, hearing aids”? Is there a change in popular culture that has affected the impact of your business? For example, there was a popular product called Ayds (pronounced as "aids") that was a popular appetite-suppressant candy in the 1970s and early 1980s, but by the mid-1980s AIDS was capturing the world’s attention and unfortunately , it was pronounced phonetically the same as the candy, and the disease caused weight, a goal of the candy. It was an unfortunate perfect storm of reduced sales and eventual destruction of a product. The moral of the story, before you spend on the branding, be sure you are still good with the name, and that the name is still good with the times. Coca-Cola, 20th-Century, and Quaker Oats are great examples of long-lasting brands that needed no changing and have a proud history of marketing. Your designer will have plenty of ideas to share with you, some you may have never considered. But it’s always good to know what you like and dislike in brands you see every day. No great designer is going to rip off what you like in the brands, but rather be inspired, take note of what fonts you like what colors turn you off. A little googling homework and you’ll be ready to talk with confidence about what you like and don’t like before any budget is spent! It’s unbelievably rare for the first round of options for a logo to have “the one” with minor changes, even rarer to be “the one” as is. Enjoy the exploration of what could be and rather than being frustrated with it. Sometimes a client seeing the first round of logo options may even trigger an aha moment of what they want. I always try to build into a design quote, any design quote, time for revisions. I bet you think I mean in one area, NOPE! This applies in two ways, the amount of detail and the number of people in the decision-making process. Design by committee almost always increases the budget and sanitizes the end product. To put it bluntly, we just don’t all have the same taste and each person tends to carve off bits of what makes each other’s taste cool, in the end often leaving a very bland brand. Did I say that? Yes, I did. Too many times I’ve seen designers sit through a consult with a client and then just do what they want. I’m not saying every idea a client has should be used. We designers are sought out for a reason, we have training and a gift for design! It’s our duty as designers to say, this or that doesn’t represent your brand well. 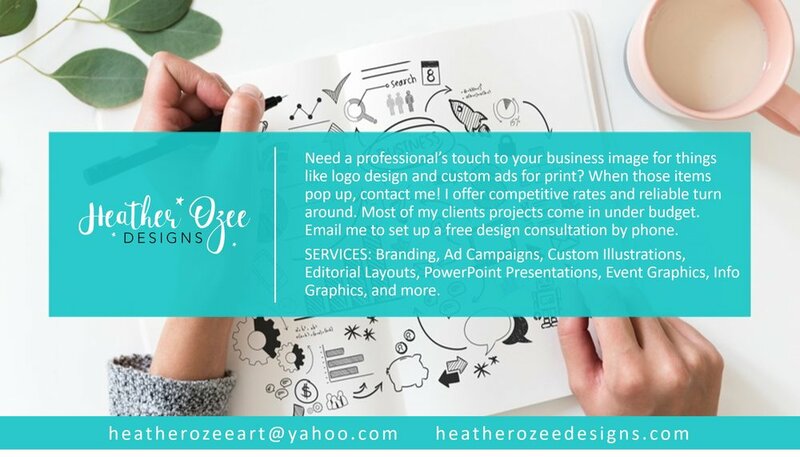 There’s always a way to give a client what they are looking for, but with a designer’s touch that makes it professional looking. I’ve had too many clients come to me frustrated after dealing with designer s that were snotty and wouldn’t listen to their vision for the brand they wanted. Let’s think about that for a minute, their brand and a brand they are paying for. Hello! If the designer won’t listen and seems like they don’t have a heart for what you desire, FIRE THEM! 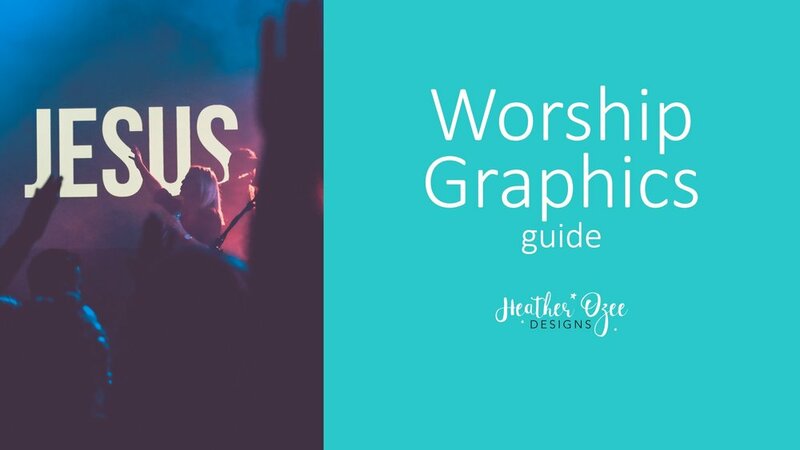 Your Message + My Design = Ministry Success! The internet has really done a great job leveling the playing field for small businesses and entrepreneurs. Getting Social is one of the biggest contributors to how my small business is not only making it but thriving! 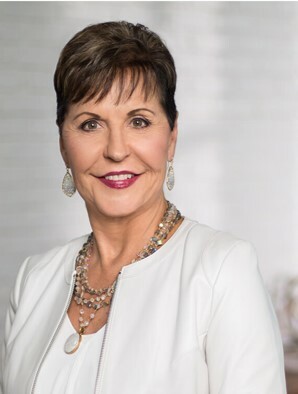 Don't you love that word, thrive. 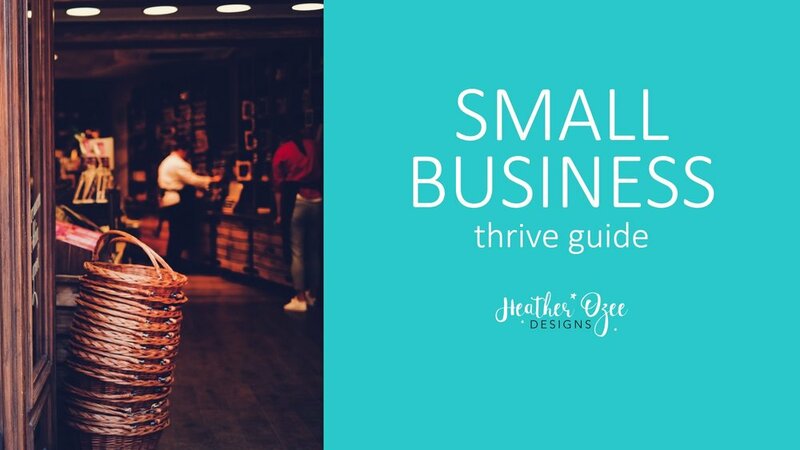 Who doesn’t want their business to thrive? You want to get your business out there in every way possible. Post! Post! Post! Have friends share! Link! Link! Link! Blog! Blog! Blog! Make use of as many platforms as you can! I personally regularly update my business FB page, my personal FB page to lead others over to the FB business page, LinkedIn, Instagram, Dribble and my website. Yes, I said website. A lot of people get the website created, and then forget about it. It’s checked off the list and that’s it. That’s a terrible use of what basically these days is the first contact a person has with your business, your store front if you will. Do you not dress up the store front at holidays? Change displays to show off latest products or offers? You should be doing those same things on your website, regularly! There’s a lot to benefit from groups and forums. You learn from others in your field in groups/forums that focus on your industry. Being active in groups that have potential clients is a great resource for future projects by demonstrating your expertise in discussions and offering advice/input. Groups such as local business forums and community boards often have people looking for a great plumber, designer or reliable realtor. Always exercise caution when dealing with strangers! How can your business have an edge over the competition in today’s market? It’s so important to be aware of design trends. Coco-Cola is a great example of a well aged, beautiful logo. The logo is paired and used with design trends in mind. In this way, the branding stays fresh, while maintaining a strong brand heritage. Knowing your audience is so very important when branding a company. 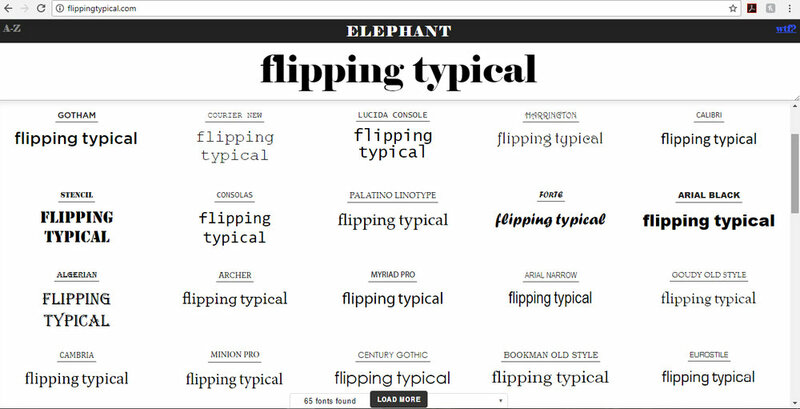 Everything from color to font choice greatly change to attract different audiences. Attracting that client to look twice can translate into a sale, or even many sales. Have you noticed a certain color trending in women’s clothing, makeup and magazines? Chances are, incorporating that color into a logo for a women’s focused company would be a great move! While the color may change over time as trends change, the logo would not change and would therefor, be the consistency customers look for. Listening to what a client wants and their ideas is vital. I’ve heard many stories of designers not listening to the client on what they want and being condescending to clients. In essence, an attitude of “I know what you need more than you do”. This attitude helps no one. Sure as a designer, there’s some important facts related to logo design and what’s trending that the client doesn’t know, but the client has to have a voice and they have a lot to share in developing a successful brand. They may have a certain image in mind, a color that they despise, and so on. After all, they are paying for it! 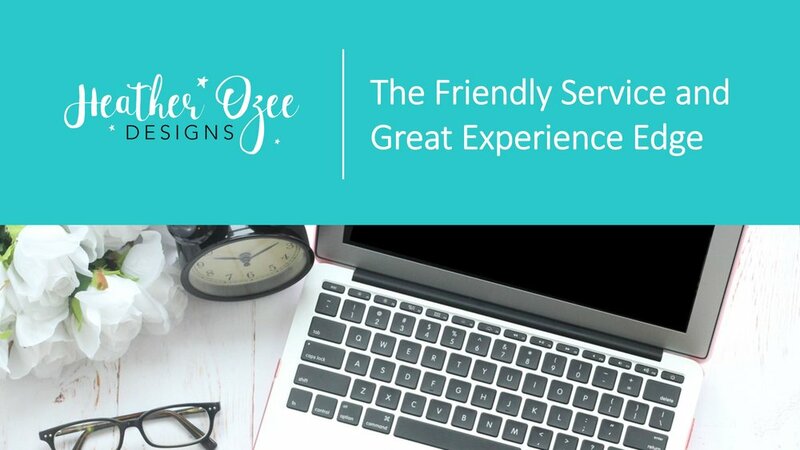 Designing a beautiful logo is as much about how it will be used as it is about how it attracts customers. An amazing full color logo, that is mostly printed black and white on ink pens and embroidered shirts will not be a successful logo for that company. It seems common sense, but it’s amazing how often this isn’t taken into account. I just can’t say it enough, creativity doesn’t come from burn out. Neither does big breakthrough in business, medicine or anything else. Breaks are a must. Take a walk, look at the leaves or maybe see a movie. Those help for sure, but there’s no replacement for a change in scenery, no chores on your days list and complete “me time” submersion. Before you say, “I can’t, I don’t have time”, think about this, a well-rested business person is more energized, filled with fresh ideas, and usually much friendlier to their clients. Vacations are an investment in yourself and your business. Being an entrepreneur can mean not knowing month to month what your income may be. For that reason, Booking.com is a great resource for trip planning. The ability to book trips with free cancellation windows is a huge plus. Book that trip, if things aren’t going as well as you’d hoped financially, you can cancel it! That takes a huge stress off trip planning when your new business is just taking off. Booking.com also shows you the overall trip price rather than per night. They also list extra charges you will receive. Hotels can come with some amazing perks, or terrible experiences. There’s a wide range! Some come with water parks, free breakfast or nightly movies on the lawn. Always check crime stats, reviews, and ratings for the place you are thinking of booking and the city it’s in. We all have different standards, when a place doesn’t live up to yours, you won’t be getting that R&R that was the whole point of the break! For my family, we’ve found we enjoy Hampton Inn & Suites at Amelia Island, FL. There’s a great free hot breakfast that changes daily and a pretty view from the pool. Spacious rooms and a historic downtown location mean an easy walk to shops and restaurants, which is always a winner with my crew. That kitchenette gets put to good use, we do free breakfast and then make sandwiches at lunch, dinner Is usually out! Maybe for whatever reason it’s not possible to completely detach and take a long weekend. If that’s the case, try a day trip. I’m sure there’s some amazing places to visit within an hour or two of your home. A small town to explore, lake or creek to dip your toes in, theme park sure to thrill, or just a special place to have lunch that’s a treat. For instance, we’re just south of Atlanta. We have mountains about two hours to our North and three hours to the south we have beautiful Savannah, GA and Tybee Island. We have been known to get up early one morning, hit the road and be in Savannah or the mountains by 10 or 11. We spend the day enjoying the sites and foods and then we hit the road in time to be tucked into our beds by 10! It’s great, and no hotel charge! Seeing new sites, trying new foods and exploring new places is a sure-fire way to get the ideas flowing, make new contacts and to be a Better Entrepreneur! We creative types simply have to get regular doses of inspiration. I can't say that enough. Here in Georgia, there’s lots of creative inspiration to be had. We're blessed with enchanting accents, pretty country roads and mossy trees the further south you get. But aside from all those awesome southern charms we've also have some really cool little gems that I love telling people about. Sprinkled throughout our state in places you would least expect it, there are little doors to whimsical lands filled with books, birdhouses, and French toast. Weather you enter through a Hobbit Door or Wardrobe, you just know when you've entered a special place, and these places are just that, SPECIAL! As you wind through the beautiful North Georgia Mountains on Highway 515 East you may spot a giant birdhouse poking out from the trees. If you investigate further you'll be rewarded with an amazing world created by the one and only Art Millican Jr, a former Disney Artist. Art helped bring to life Michael Jackson's Neverland Valley Ranch, as well as designed displays for Dollywood and Six Flags. Art's amazing playhouses have even appeared on My Backyard Goes Disney! So, with all this Magic in his background, of course Art's place is going to be thoroughly pixie dusted. It's free to tour the Woodland Fairy Village. A path winds down a hill that's sprinkled with bird houses small, large, all the way up to Adult size! There's a Hobbit House, child sized gypsy wagon, castles that might seem a wee bit familiar, Gnome village off in the distance, and at the bottom of the hill is a giant bird house/treehouse that any kind (or adult) would love to have. Be sure to stop in the gift/Art Shop before you explore the path. You can buy a handmade birdhouse sure to please your feathered friends at home. 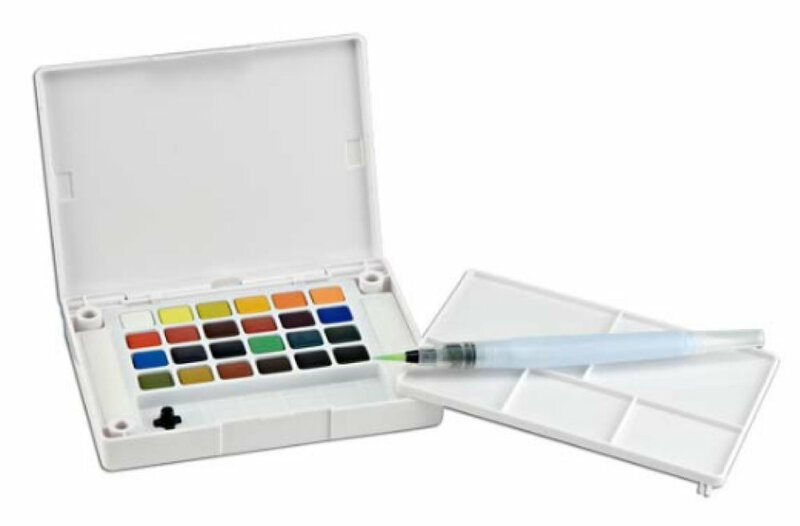 Need a new paint brush or pen set? They've got them. Fairy door charm for your favorite bracelet? They've got them! There's just so much magic in this place. be sure to make a donation or by something while you're there. Find out more about Sleepy Hollow here. Sugar Hill Bakery honestly took me by surprise. I saw something about it online and made my way there the next day. I had no idea what a treat I was in for. When we parked, and I looked up to see that you literally enter the restaurant through an antique wardrobe, I was immediately giddy. And the excitement didn't end there. The room that awaited was breath taking. I couldn't pick a spot to let my eyes settle. There were twinkly lights all about, snow dusted trees here and there, all types of mismatched in the most beautiful way chairs and sofas all around. The tablecloths and linen napkins were beautiful and set ready for the most delightful breakfast I've had since I was dining with my favorite mouse. It's just impossible to explain the space accept to say, it was magical. And oh my, the kid’s meals are served, are you ready for this, in old school lunch boxes! How adorable is that? So, let's talk food. When I say that I had the best French toast I've ever had in my life there, I'm telling the honest truth. My husband had an omelet that was amazing as well, i snuck a bite when he wasn't looking. Speaking of the Mr., my guy is for sure a tough guy. He's as manly as they come, and I can tell you he grinned from ear to ear. We both really enjoyed this little magical moment at Sugar Hill Bakery and Cafe. We plan on returning very soon. Oh! By the way, want to go Fairy Hunting? Enjoy mystery dinners? They do those there! Get more info about my new favorite place to get my whimsy tank filled here. Children's Books. That's magical already, far away wonderlands, yellow brick roads, monsters and princesses. Already more magic than you can shake a stick at. But, in the town of Monroe, GA two very creative ladies, Owner Melissa Music & Designer Stephanie Cannon, have brought those wonderlands to life in The Story Shop. Before you enter the shop, you can tell that this will not be your typical book store. There are mushroom stools by the door and an open sign made from a book hangs in the window. And then you enter the most amazing book store this girl has ever laid eyes on! And let me tell you, I had the luck of being a teen in the 90's and getting to spend lots of time in the oh so amazing and gone way too soon Oxford Books on Far Road. So, I've seen some amazing book stores. You immediately see lots of color, shelves with books like Little Women and Jane Austin for toddlers. Hello! That's just cool. A big purple chair with a Cheshire smile across the back. Cozy nooks are everywhere just waiting for you to snuggle in with a great book. But wait, what's that near the register, why it's a giant antique wardrobe! Yep, they have a Narnia inspired wardrobe that leads to of all places, story time! The room for story time is just adorable. There's a yellow brick road to explore, a middle reader room straight out of Hogwarts and best of all the most amazing event space I've ever seen. It's complete with a huge table fit for a king that is set based on the theme the party host choses. This space is just fantastic. But back to the yellow brick road, where did that lead? The bathroom of course! and as you follow it to the back of the store you pass a super cozy reading nook inspired by Where the Wild Things Are, lots of books and then, gasp... 221B Baker Street. Yep, Sherlock gets a nod by this amazing shop! If you want to find out more about The Story Shop, check out their site here. Have you found an inspiring place that gets your creativity engaged? Share it with me here in the comments. I'm always looking for a new adventure. 5 Things Young Artists should do now for their Future! Take Classes. Encourage your young artist to get art training outside of the school day. Far too little funding goes to those classes and even less time due to the number of students. Exposure to more focused art classes can help your student get ahead of the crowd when it is time to apply for scholarships for art school and other art programs. Those require a portfolio that is exceptional! Great places to try are local community colleges who have continuing ed art classes, local Community Centers and of course me! Keep an art Journal/ sketchbook. Colleges look for that and honestly it's a great way to improve drawing skills. This is also a fantastic way for teens to process emotions during what usually is a pretty emotional time in their lives. Art journaling is very therapeutic. Learn Art History. Read lots about Art History and all the amazing artist that have come before them. There's so many unique styles and techniques used by artists that diving in and getting to know the artists of the past and today will do two things.... 1. Inspire young artist and 2. Show them that to really make a mark in the at world you have to find your own voice so to speak. Your own style. Explore New Mediums. Not everyone is going to find their passion through watercolor, but they may have an instant connection with pastels, photography, sculpture or stained glass. It's really important to expose art students to a variety of mediums, and put the pieces in that portfolio I mentioned earlier. Keep a portfolio. A portfolio is vital when trying to get into special art programs or colleges. 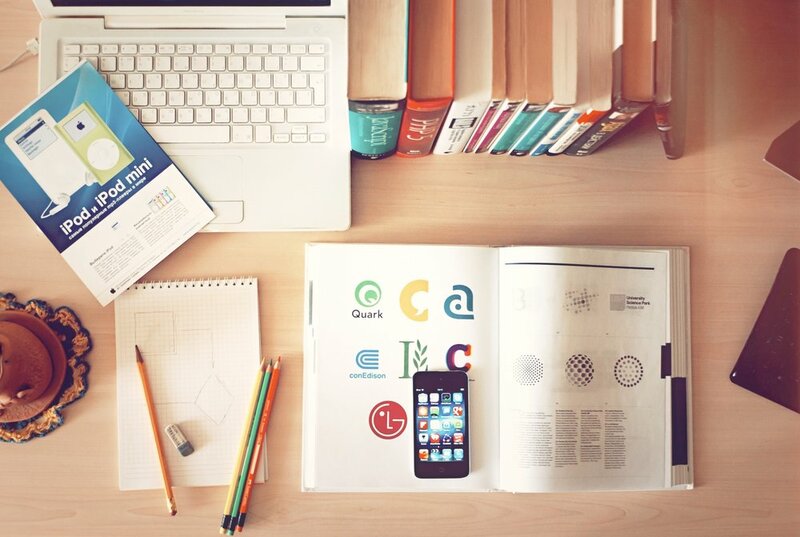 Students with a portfolio filled with a variety of mediums and techniques that show strong design skills are sure to catch the eye of schools. Portfolios should contain only the artist best work. This work will rotate out as the young artists skills improve. If your young artist needs classes or help building a portfolio contact me! Of all the many artists I love, Georgia O'Keeffe has a soft spot in my heart. For me Georgia was the introduction to the idea that artists could control what the viewer focused on. Even now her beautiful micro views of flowing flowers and billowy city streets that seem to bloom in the moon light are in my view still ground breaking. My eyes were opened to a whole new part of creativity... The point of view. Georgia was blessed with a long life to develop her style during. Her view on what it takes to be an artist is still relevant today. We would all be so lucky to find that style that's so clearly our own but wait... according to Georgia it wasn't luck at all. 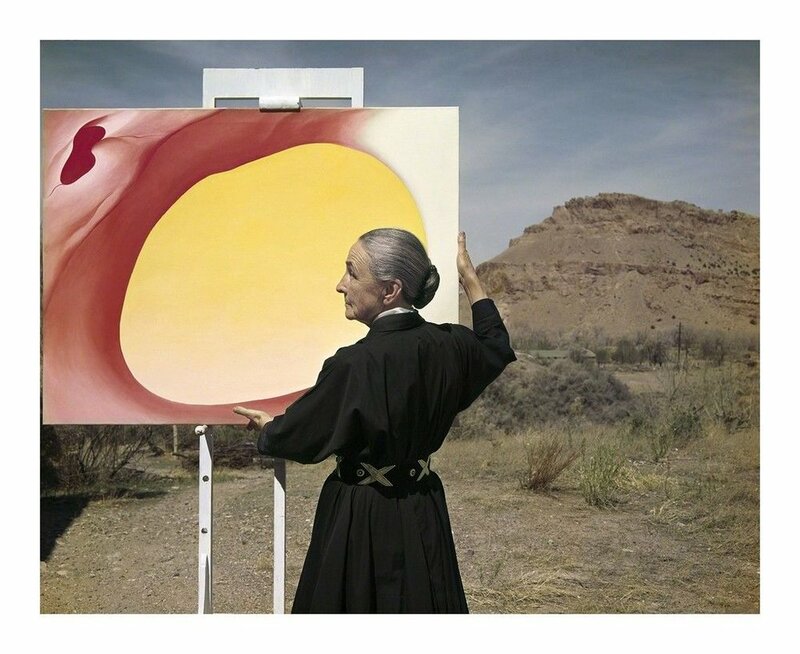 Check out this article from artsy on Georgia O'Keeffe and how to be an artist.